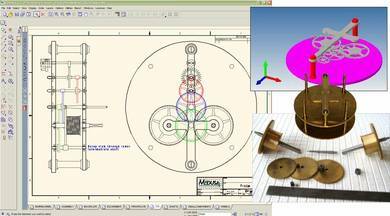 Version 4.0 of MEDUSA4, the professional 2D/3D design suite for mechanical engineers, was released on 2 September 2009. Now home users on Windows or Linux can also benefit from the new functionality and enhancements free of charge, just in time for the Christmas break. MEDUSA4 Personal is used in 109 countries for private projects, such as model engineering. 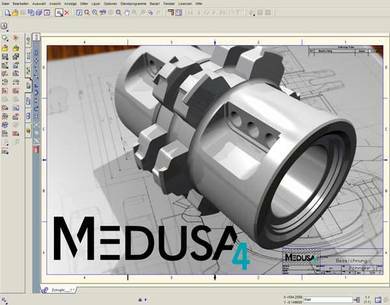 MEDUSA4 Personal, the private-use version of the engineering design software includes many of the familiar options available in CAD Schroer’s MEDUSA4 ADVANCED package, such a SMART Edit and basic 3D, as well as valuable add-on modules, including Parametrics and Sheet Metal Design. 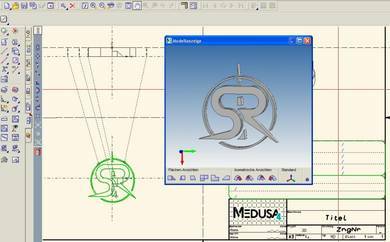 From version 4.0, MEDUSA4 Personal now includes the MEDRaster Colour module, which allows users to incorporate existing raster data, images or photographs in their designs. The new features in this holiday release also include many dimension creation and editing enhancements, expanded SMART Edit and Smart Drafting tools, and URL support in drawings. 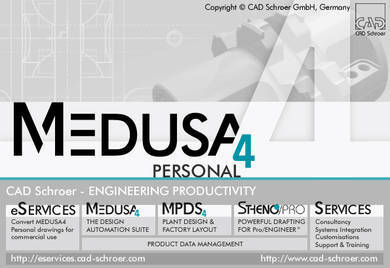 While MEDUSA4 Personal use is legally limited to non-commercial deployment, CAD Schroer has created an online portal in response to popular demand. At http://eservices.cad-schroer.com designers wishing to commercialise their work can convert drawings to PDF or DXF for a small fee, which also grants a license for commercial use of those designs.